Is handwriting a thing of the past? Handwriting has become a controversial issue. Should children learn cursive? Why is handwriting important at all? My kids cry when I ask them to write a draft for a research paper. Cry! Their Language Arts skills are fantastic when they use Google Docs, but ask them to write on paper and everything goes south! So, we're sharing Handwriting Practice Tips, handwriting ideas, and ways to get your children to practice writing without the fuss. Enjoy! 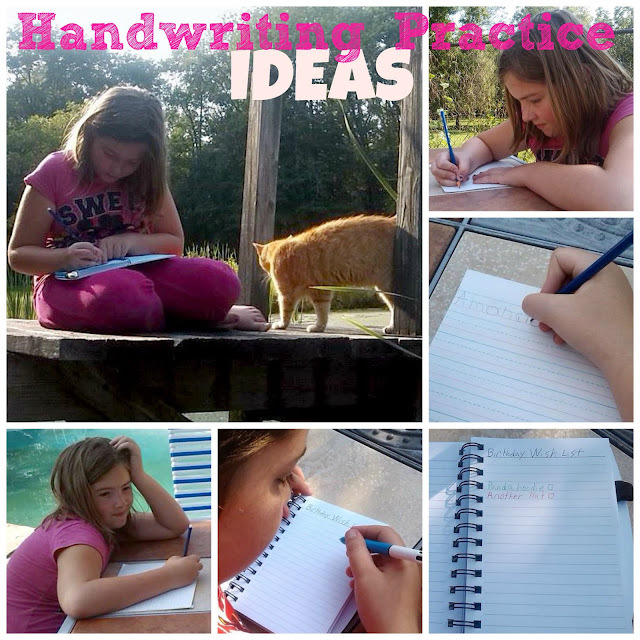 Handwriting Ideas: Ways to get your Children to Practice Writing. 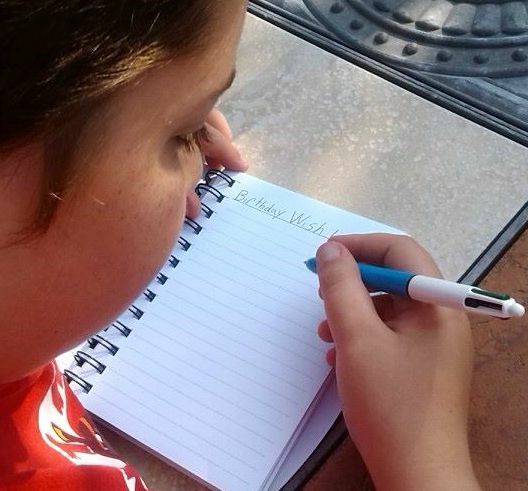 BIC is on a mission to save handwriting! 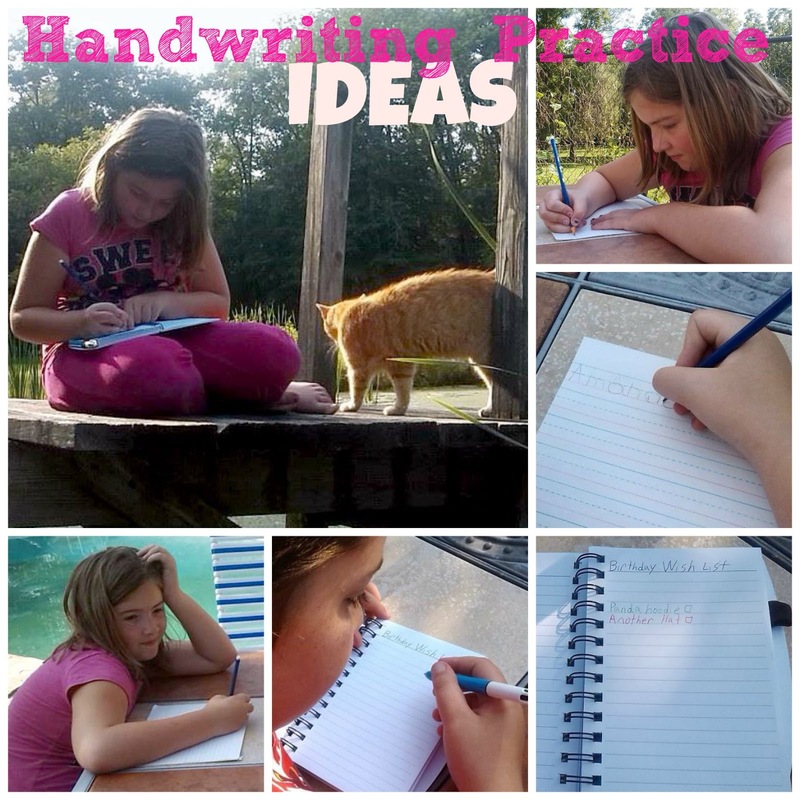 Kids can enjoy handwriting practice. Before they know it, they'll have improved handwriting skills. We took the fight for your write pledge, and you can too! 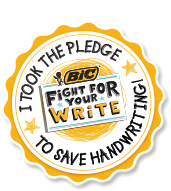 Pledge to save handwriting, and enter for a chance to win BIC prize pack worth $1200! Just visit www.BICFightForYourWrite.com. Be sneaky! Sneak in handwriting. Every time you head to the store, have your child help you with the shopping list. You dictate, they write. Mayhem, loves to write shopping lists! She always adds little extras she hopes to get or puts something preposterous on the list! If you follow the blog, you may remember that she has Dyslexia. Her handwriting skills are not to par, but that doesn't keep her from writing. She hopes to be a novelist when she gets older. Jake despises any form of drawing or writing. For Jake to write with a pen, it requires lots of incentives (okay, bribes). The cooler the writing utensil, the better. This is where our Bic Pens come into play. I remember writing paper notes and making every word a different color with this cool Bic Pen. Awesome. Jake thinks it is pretty cool too. Another way to sneak in some writing practice is to play word games. We especially like those fill in the blank stories- just add a noun, adjective, or verb. Though the kids love to write email, penning letters to Grandma and Grandpa is fun too! Encourage handwritten letters by taking a trip to the post office to let your kids pick out their favorite stamps. This also encourages Grandma and Grandpa to write back. Everyone loves getting mail! Any time is a good time to make a wish! It doesn't have to be a birthday or Christmas want list. Sneak in some practice handwriting time, by asking your child to pen a wish list or a list of things they hope to achieve in the near future.